In 2017, Shell was the first international oil and gas company to set the ambition to reduce the Net Carbon Footprint of the energy products it sells, expressed as a measure of carbon intensity, taking into account their full life-cycle emissions. Shell aims to reduce the Net Carbon Footprint of its energy products by around half by 2050, and by around 20% by 2035, in step with society’s drive to meet the goals of the Paris Agreement. Today, Shell is building on that long-term ambition with the commitment to setting specific Net Carbon Footprint targets for shorter periods, of three or five years. Shell will set the target each year, for the following three- or five-year period. The target setting process will start from 2020 and will run to 2050. Shell plans to link these targets and other measures to its executive remuneration policy. The revised remuneration policy will be put to shareholders for approval at the company’s Annual General Meeting in 2020. The announcement is part of a drive to increase transparency around the topic of climate change, and to create clear benchmarks for performance. Shell will publish its progress towards lowering the Net Carbon Footprint of its energy products initially in the Sustainability Report. In line with the recommendations of the Task Force on Climate-related Financial Disclosures (TCFD), Shell intends to integrate this disclosure into the Annual Report and Form 20-F as appropriate. The company will seek third-party assurance of the reported Net Carbon Footprint. Speaking as the Co-lead of the Climate Action 100+ dialogue with Shell, Adam Matthews, Director of Ethics and Engagement of the Church of England Pensions Board, and Board Member of the Institutional Investors Group on Climate Change, said: “Investors like ourselves will be able to track Shell’s performance through the Transition Pathway Initiative (TPI), an independent academic tool at the London School of Economics which is supported by funds with $11 trillion in assets. The joint statement was developed between Royal Dutch Shell plc (Shell) and a leadership group of institutional investors on behalf of the global investor initiative: Climate Action 100+. 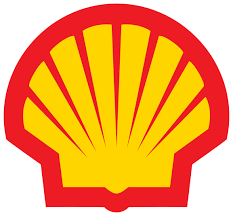 The investor engagement with Shell has been led by Robeco and the Church of England Pensions Board and included representatives of Eumedion (the Dutch platform for institutional investors) and the European Institutional Investors Group on Climate Change (IIGCC). APG on behalf of ABP, the Environment Agency Pension Fund (EAPF) and the Universities Superannuation Scheme (USS) have also been active participants.